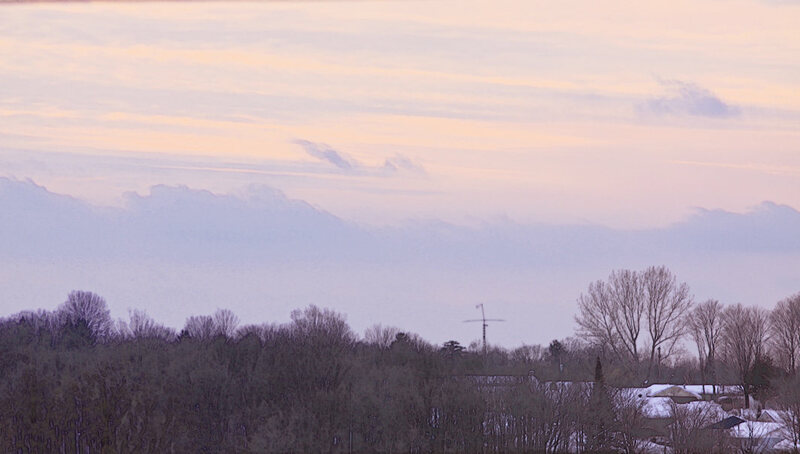 winter sky – an implied space of snow, ice, hoarfrost carried by purple pink grey clouds tumbling in with possibilities pouring over the setting sun. winter sky – an implied space of flying crystals tumbling down to adhere to surfaces & spill over the sight-lines as evening shadows grow in the cold air. winter sky – an implied space of dark violet awaiting chill white flower petals to be carried by frigid breezes encased in deepening shades . winter sky – an implied space of an arriving night caught between the blanket hanging above & the blanket resting below. My favorite colors for a sky.